For studying the constitution of any compound two methods are generally used viz., oxidation and hydrolysis. 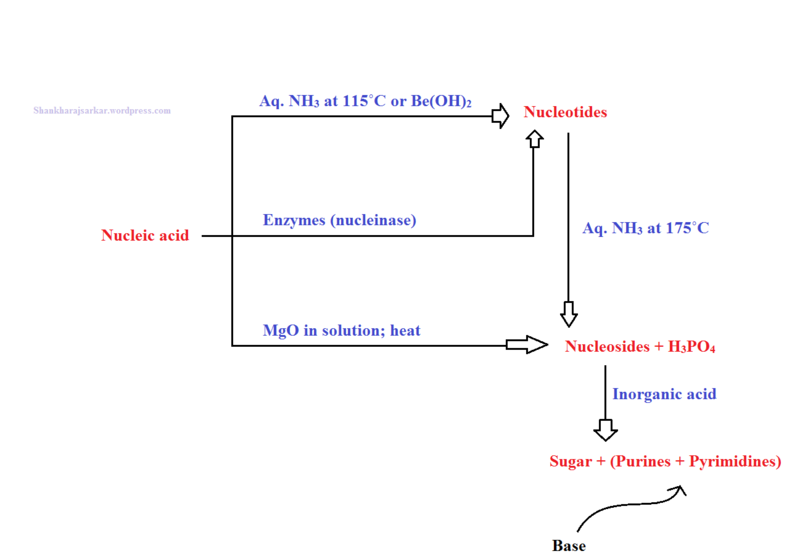 In case of nucleic acids hydrolytic method is employed; the acid is degraded to the small portion with the help of different hydrolytic agent under suitable conditions and the simplest or the last product is studied first followed by others. The following chart shows the nature of the products obtained by hydrolysis of nucleic acids.